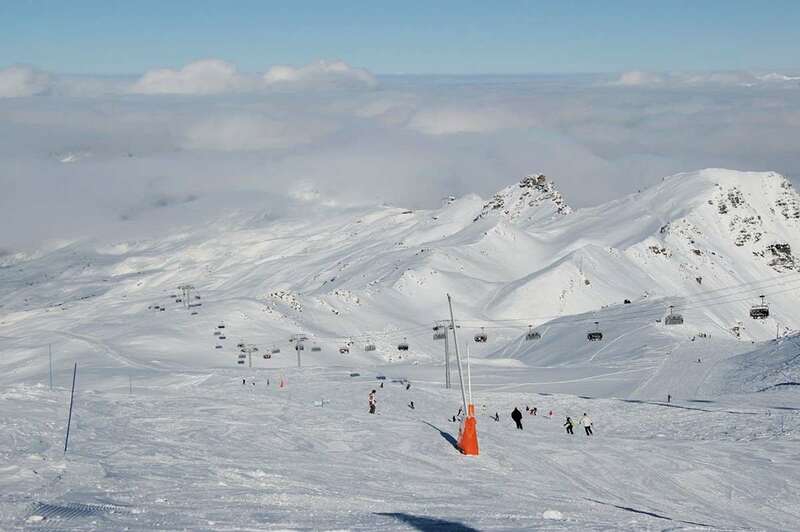 "The Chalet Maurienne is in the quiet hamlet of Reberty 2000, above Les Menuires town centre. The chalet is near to the gentle blue runs Cumin and Boyes. An efficient bus service whisks down to the town centre if you want a drink in the evening. The chalet enjoys warm natural lighting in the communal areas, with large windows south facing windows." Chalet Maurienne stands 25 metres behind chalets Annabelle and Brigitte and enjoys superb access to the slopes. The lovely first floor lounge has deep sofas and a full width, south facing balcony which is perfect for catching the afternoon sun or midnight stargazing. The open plan dining room adjoining the lounge and kitchen has long oak tables around which guests can indulge in good food and tell tales of the day’s events. The chalet also has its own sauna and large hot tub which are just perfect for easing tired muscles after a long day on the slopes. Our chef, chalet person and ski host will arrange an honesty bar with snacks, soft drinks, beers and mixers for your convenience. We understand that one of the most important parts of any winter holiday is the food. At the end of a crisp day on the mountain, there is nothing better than sitting down with a glass of wine to enjoy a delicious three course evening meal and relive the day's adventures. Every morning we provide a hearty buffet breakfast. On six mornings there is also a cooked option to choose from, such as bacon or sausage with scrambled eggs. Delicious afternoon tea is provided of freshly baked cakes, bread and jams, and tea or coffee. On six evenings you will enjoy a wonderful three course evening meal accompanied by free, unlimited regional table wine. On the festive last evening of the week the meal is followed by a delicious and varied cheeseboard of local specialities and complimentary port. Please note: For the benefit of parents and other guests, children under the age of 13 take their evening meal at 6.00 pm – 6.30 pm, unless they are part of a full chalet group.